Not only do we know how much you love Pizza Hut, but we know when and where you love it most. And to thank you for preferring it over all others, we have a two for one offer just for you and a few thousand others just like yourself that that share your pizza preference. To make certain that you get to enjoy this offer, we are going to deliver the coupon to your smartphone with our proximity marketing platform just when that “I’ve got to have it” craving is making your stomach growl. 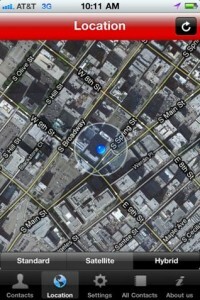 nearly everyone will be using smartphones for navigation by 2013…some to find a Pizza Hut. The GPS in the phones will create a digital marketplace of ten billion unique shoppers which can be communicated with on a one to one basis. With the emergence of Near Field Communications and smartphone wallets, the collected data will indicate if the marketing message converted and when making merchants and marketers smarter about what it takes to satisfy your hunger and make a little dough. GPS Tracking Apps by LOCiMOBILE are installed on over 850,000 smart phones in over 106 countries. (see map) LOCiMOBILE is a leader in 2-way GPS Tracking Solutions providing the ability to find your loved ones quickly and easily with one touch of a finger. But don’t stop there, get creative with it; track your drivers in real-time, see when your relatives land at the airport… with turn by turn directions, you will never get lost again! 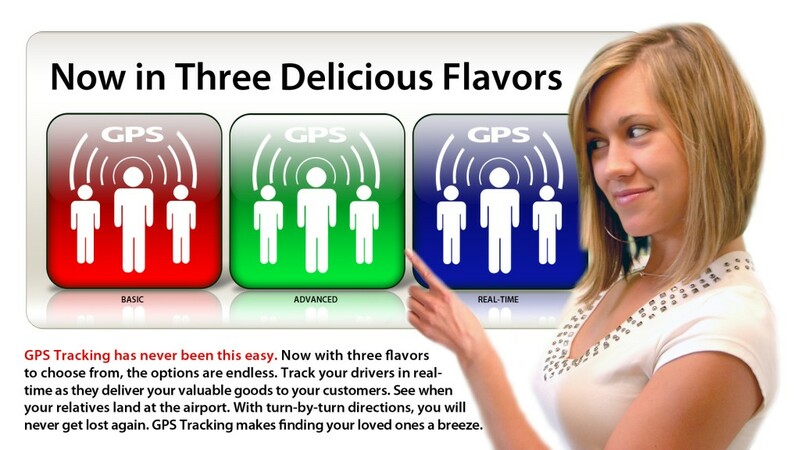 See what GPS Tracking Technology can do for you. LOCiMOBILE is a member of the GTX Corp GTXO family of products and services. GPS Tracking Apps are available for most smartphones. Watch this video to learn how GPS Tracking Technology works and what it can do for you. GPS Tracking Apps by LOCiMOBILE, a member of the GTX Corp GTXO family of Products and Services. Compare all GPS Tracking Apps. When don’t you have to look high and low for a GPS Tracking App? When the GPS tracking apps from LOCiMOBILE are all ready embedded in the new Skytex Technology, Inc. 7” Android 2.2 tablet with wifi/GPS due for release in a couple of weeks. Better still, the tablet is the perfect device to receive wandering and elopement alerts from those afflicted with Alzheimer’s and track them with the patented GPS Smart Shoes marketed by Aetrex Worldwide, Inc.
GTX Corp (GTXO.OB) a leader in enterprise 2 way GPS real-time Personal Location Services (PLS) was founded in 2002 and is based in Los Angeles, California with distributors in Mexico, Australia and Nepal and customers in 104 countries. GTX Corp utilizes the latest in miniaturized, low power consumption technology and offers a robust enterprise GPS and cellular location platform to track in real time the whereabouts of people, pets, vehicles and high valued assets which include grandma and grandpa. Knowing where you are will give you the answer to the “where is” question. Recent developments in GPS positioning technologies could drive revenues from mobile location-based services to more than $12.7 billion by 2014, according to a new report published by Juniper Research. Revenues will come from sales of apps through application stores and other channels, but also from mobile advertising tied to those apps. In fact, the Juniper report notes that advertising will likely form an increasing share of Mobile Location Based Services-related revenues over the next five years. Mobile question and answer startup ChaCha is on a roll, possibly achieving profitability, raising boatloads of money, and even venturing into social media with a Facebook app. Today, ChaCha is getting into the business listings game with local business search company Localeze. Localeze will provide ChaCha’s website with in-depth information about more than 15 million businesses across the country. ChaCha.com visitors can access the local business listings in a search bar and through a direct listings page. In both cases, they will be served a full content page that includes Google maps, directions, phone, and other contact information. And of course, any questions and answers related to the business can be found on the content pages. Business listings can also be viewed by category and or state and city. Eventually, ChaCha’s listings will be integrated with its chachacoupons.com site. Peanut Labs Media launches Cherry Deals. Cherry Deals tracks location when users buy virtual goods when playing social games and offers deals on real goods. GTX Corp utilizes miniaturized 2 Way GPS Devices and GPS Tracking Apps carried on multiple cellular platforms to enable those subscribers with permission to follow people, pets, vehicles or valued assets in real time and to participate in Location Based Social Networking through its LOCiMOBILE subsidiary. Among all smartphone users, the most popular app among feature phone users is Google Maps (46%) followed closely by Facebook (45%). The simplest conclusion to be drawn from the data is that “where” is my; friend, family, spouse or co-worker must be top of mind for multi-millions and the GPS Tracking app to resolve that question is to be found at LOCiMOBILE, a subsidiary of GTXCorp (GTXO.OB). The number of consumers using telematics smartphone apps with connected cars is about to increase over 40 times in the next five years. ABI Research today estimates that by 2016, 129 million people will use smartphone software that works with a vehicle, up from only 3.2 million consumers this year. Such forecasts could fuel new and innovative mobile apps specific to vehicles and travel-related activities. Smartphone applications specific to cars may best illustrate the promise of mobility and connectivity: intelligent, discreet devices combined with wireless broadband and smarter cars. While there have been a number of in-vehicle applications for years — think of navigation, point-of-interest searches, real-time traffic data and remote automobile diagnostics — most until now have been constrained for use within the vehicle. By leveraging the ability for a smartphone to be tied with a car, such apps can move beyond in-car use. And as vehicles gain more processors and sensors, especially in greener cars as noted in a GigaOM Pro report, (subscription required), the possibilities for mobile apps will expand. Samsung announced last week that the company is looking sell more than 60 million smartphones in 2011, 40 million or three times as many as 2010. Samsung anticipates the majority of its sales to come from their Galaxy portfolio of phones which utilize the company’s proprietary BADA platform. GTXCorp was specifically asked by the company to make its GPS Tracking Apps available to Samsung customers. GTX Corp (GTXO) has been keeping pace with the smartphone trend developing a portfolio of GPS Tracking and GPS based LOCiMOBILE applications that eschew the public commercialism of Four Square and Gowalla for a robust, private set of functional apps that provide easy to access permission based location information. The nobody’s else’s business, but your own – social check-in with extras. The LOCiMOBILE iCheck-In ™ does not need an app to let those in your contact list learn what you’re doing and where you’re at… IF and WHEN you want them to know. Introducing iCheck-in – the newest and most privacy protected solution to sharing your location with others of your choosing. With a single click of a smartphone button an iCheck-In ™ is either sent as an e-mail or a direct posting to your Facebook wall. What you send a contact includes; your what’s up message with a Google map and turn by turn directions to get from their wherever to where you are right now as an extra. LOCiMOBILE is a business unit of GTX Corp (OTCBB: GTXO.OB). It has more than 750,000 personal location service users in 100 countries – from Kathmandu to Klamath Falls you can find people finding people with apps, devices and software you can’t find anywhere else. GTX Corp® utilizes the latest in miniaturized GPS and cellular location platforms enabling subscribers to track the whereabouts of; people, pets, vehicles or valued assets in real time through a proprietary end to end solution via smartphone apps, middleware, and viewing portals. In the race for smartphone platform supremacy who is in the lead? The U.S. smartphone market is booming. Nearing the end of the third quarter a range of analyst firms have posted their current figures on the market. The figures do provide a clear picture of which platforms are accelerating in the U.S. smartphones market and from which platforms market share is being lost. For developers these trends are essential for planning and development of new app and for what platform they will be offered. LOCiMobile has 17 apps which are currently available on multiple smartphone platforms.